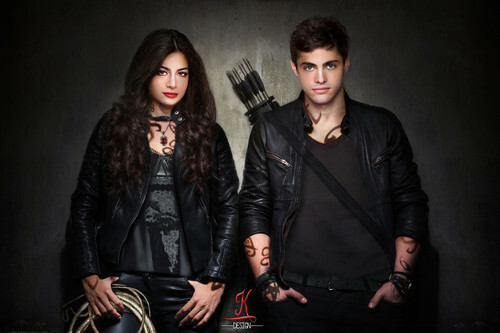 Emeraude Toubia and Matthew Daddario as Isabelle and Alec. . HD Wallpaper and background images in the Shadowhunters TV 表示する club tagged: photo shadowhunters the mortal instruments emeraude toubia isabelle lightwood matthew daddario alec lightwood. This Shadowhunters TV 表示する fan art might contain 身なりの人, スーツ, パンツスーツ, よく服を着た人, パンツ スーツ, スーツ, and ビジネス スーツ.